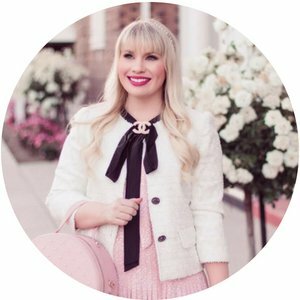 Today’s Girl Boss is Lee from LegalLee Blonde, a full-time lawyer, business owner and blogger babe! I’ve actually been following along with Lee since I started my blog and we finally met for the first time in person at NYFW in September! She is hilarious, down-to-earth, a brilliant business woman and has the most amazing work ethic. She shares the most stylish, affordable and professional workwear outfits on her blog and Instagram (and has the best Instagram stories!). Check out her interview below! I’m a lawyer and blogger (…which you probably have guessed). I am from a small town and am the youngest of 5 siblings. I currently live in Vancouver, Canada but I travel a lot since I’m a bit of a travel addict! I’m really excited for 2018 because I’ve already got a number of travels planned; including Los Angeles, New York, Paris, Croatia & Montenegro! I have 7 nieces and nephews and 2 goddaughters who I am just a teeeeensy bit obsessed with. My best friend Maddie has been my best friend since the 8th grade; and we’ve known each other since kindergarten. She used to hate me because I wore frilly dresses and giant hair bows to school haha. When I’m not blogging or lawyering; my favorite things to be doing are taking a dance class (former ballet dancer over here! ), walking on the sea wall here in Vancouver, consuming copious amounts of coffee, and consuming (slightly less copious amounts) of mimosas. Tell us about your journey to becoming a blogger? 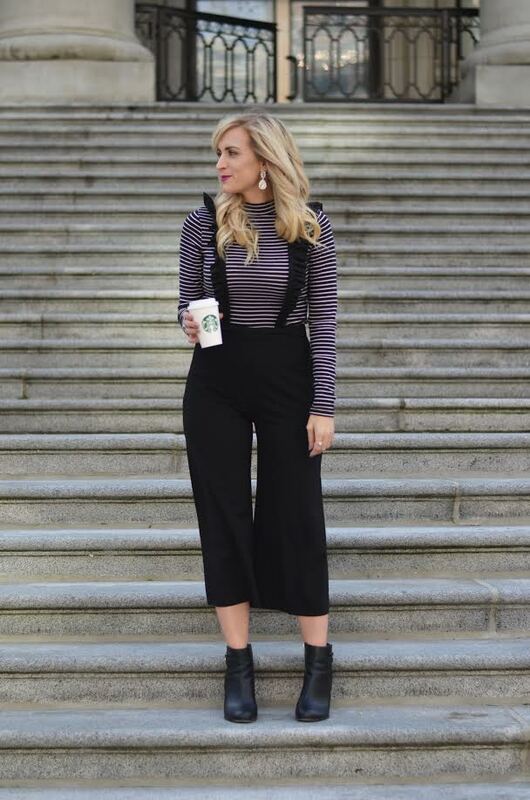 I started my blog as a wear-to-work fashion blog when I graduated law school 4 years ago; after noticing a huge lack of work wear inspiration for young women. At the time it was exclusively fashion based, and I was working for the Crown Attorney’s office (the Canadian equivalent of the District Attorney’s Office). About a year and half after that I opened up my own law practice. It was then that I began really struggling with having a blog. Despite the fact that I blog under a different last name than what I use in my law practice, clients were still finding my blog and I was getting a lot of criticism. I remember finding my name on a “rate your lawyer” website with a review just ripping me to shreds for having a fashion blog and accusing me of being an airhead. I remember calling my mom in tears; I was so devastated. It really made me question whether or not I should/could continue blogging. Over the next year there were countless similar occasions which made me question my choice to be both a lawyer and a blogger. I am so glad that I stuck with it though. The whole ordeal forced me to grow a thicker skin and become a stronger person. Over the past two years I realized that there is nothing wrong with having a fashion blog and being a lawyer. I am really good at my job but that doesn’t mean that I am not allowed to do other things in my free time; things that involve creativity, fashion and fun. Now I have finally reached the point where I am not ashamed of having a blog. I no longer hide it from my colleagues and when asked about it I say yes, I have a blog focusing on fashion and other topics relevant to young working women and I love being a lawyer AND a blogger. (I actually wrote a whole blog post on this idea of being an “and” person. You can check it out here). HA, there are so many!! First and foremost would be that we (bloggers) just stand around taking photos of ourselves all day. In reality taking photos is only one tiny element of the job. Far more of my time is spent liaising with companies, planning/developing content, doing SEO and marketing research, editing photos, investing in social media management and growth… the list goes on! I work a lot. A lot, a lot. I would say on average I work 9-10 hours a day as a lawyer and then put in 2 hours a day on the blog. I am really lucky though because running my own law practice I am my own boss and thus am able to be really flexible with my day and work odd hours which helps…. That and coffee. Lots of coffee. Over the past four years LegalLee Blonde has really expanded into more of a lifestyle blog where I share things that I think are inspirational, motivational, or just plain useful to other young professionals. I want to encourage women who are pursuing their dreams! While I started it as just a wear-to-work fashion blog, I now share posts on beauty tips for the office, healthy lunches you can make ahead and bring to work, the best getaways for mini-vacations from work, etc! Definitely just sticking with it despite my concerns over being a lawyer and a blogger! For most people, the dream is to become a full-time blogger. Why is keeping your 9 to 5 job important to you? Great question! For me it’s important because I love what I do. I was always a very creative person – until I was about 19 I actually planned on being an actress and dancer! I also though was always very good at academics; school came naturally to me. I’m also a “helper” at my core; so finding a job that helped people was really important to me. I studied international development in university and thought about entering the world of non-profit organizations. Essentially, I was very torn in my early 20’s about what the heck I wanted to do! Fast forward to 2018 and I could not be happier with the dual career I have created. My legal career gives me the academic stimulation I need and it allows me to really help people who need it. My blog gives me the creative outlet I need. I definitely plan on having periods in my life when I focus more on one career than the other (for example; if/when I have kids, I’ll take a maternity leave from the law, but will really ramp up the blog during that time) but overall, I want to keep both! That despite being a career woman, I also really want to be a mom and want 3 or 4 kids! What advice do you have about remaining authentic in the digital space? I would say a huge thing is to not compare yourself. It is so easy to see another influencer creating certain content that is doing well and be tempted to try to recreate that content yourself. It becomes a bit of a rat race and leads to a ton of bloggers all seeming the same/ becoming interchangeable with one another. I think it’s important to remember why YOU started blogging (or whatever it is you are doing in the digital realm) and stay true to the work you want to be doing. It’s a tie for favorite! One favorite is the relationships you build/people you meet. I have the most amazing blogger squad of friends. These are women that leave all across the US, who have completely diverse backgrounds and are all in different life stages and of different ages. And yet, we’ve become a group of friends that is so supportive of one another and I just love them! My other favorite thing is getting to come up with concepts for blog & instagram posts! My least favorite thing would be trying to grow my following on instagram!! The algorithm change is the bane of my existence. My favorite places to shop online are Nordstrom & ASOS (as far as big companies go). I also love shopping small online boutiques and supporting the women that run them! 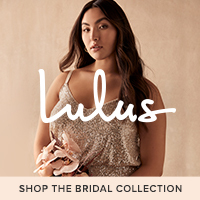 My current favorites are probably the Red Dress Boutique & Olive and Piper (you can get any jewelry from O&P for 20% off with the code LegalLee). I also shop, as much as possible, in local boutiques of the places I travel to. One of my absolute favorites that I wish I could shop at every day is Bella & Harlow in New Orleans! Being featured in the October 2017 issue of InStyle magazine!! That, and pretty much everything about attending New York Fashion Week last fall; especially sitting front row at the Leanne Marshall show, and getting to go to the Alice & Olivia presentation!! “It is not the critic who counts; not the man who points out how the strong man stumbles, or where the doer of deeds could have done them better. The credit belongs to the man who is actually in the arena, whose face is marred by dust and sweat and blood; who strives valiantly; who errs, who comes short again and again, because there is no effort without error and shortcoming; but who does actually strive to do the deeds; who knows great enthusiasms, the great devotions; who spends himself in a worthy cause; who at the best knows in the end the triumph of high achievement, and who at the worst, if he fails, at least fails while daring greatly. Thanks so much to Lee for sharing with us today! Feel free to follow along on Instagram, Facebook, Bloglovin or her blog! What do you all think of today’s interview?